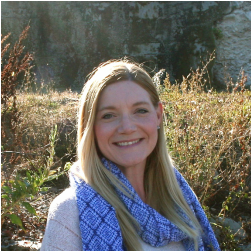 Carrie Sandman is a Registered Art Therapist (ATR) & Licensed Mental Health Counselor (LMHC) and has been working with children, adolescents and adults providing individual, family and group therapy for over seven years. She holds a Masters degree in Art Therapy and Creativity Development from Pratt Institute in Brooklyn, NY. Carrie, a Rhode Island native, began her career as a photographer and a pre-school teacher’s assistant. Her love of art and working with children led her to pursue a career in as an art therapist. During her training, Carrie gained experience working with children of all ages with developmental delays and mental health issues as well as adults with autism. Most recently, she has been working with adults and adolescents in both the inpatient and outpatient settings, offering creative interventions, guidance and support to people coping with anxiety, depression, grief and major life changes. Through a combination of art therapy, CBT and DBT, she has found that working with people suffering from trauma and PTSD especially rewarding. In her experience, the non-verbal aspect of creative expression provides a safe space for expressing the intense emotions that surround trauma that words often fail to convey. Carrie strives to help her clients to use their own creativity and inner strengths to overcome and cope with their problems.